And as the day progresses ….. So …. busy afternoon. 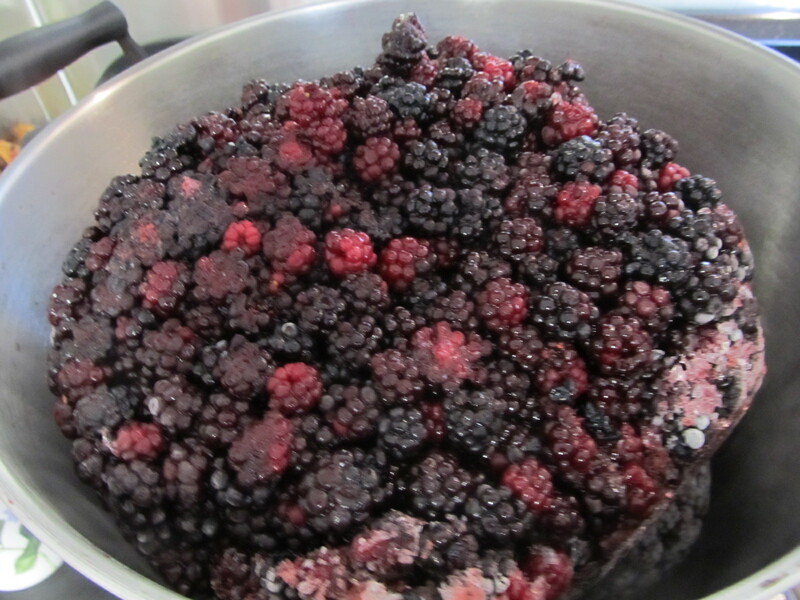 From last year’s freezer stock, I made some ‘essence of blackberry’ for Robert to experiment with in his making of a new blackberry beer. (The leftover blackberry pulp will be going to Miss Tina the pig of course). The green beetles that seem to have taken up permanent residence here have at least left the jostaberries alone. 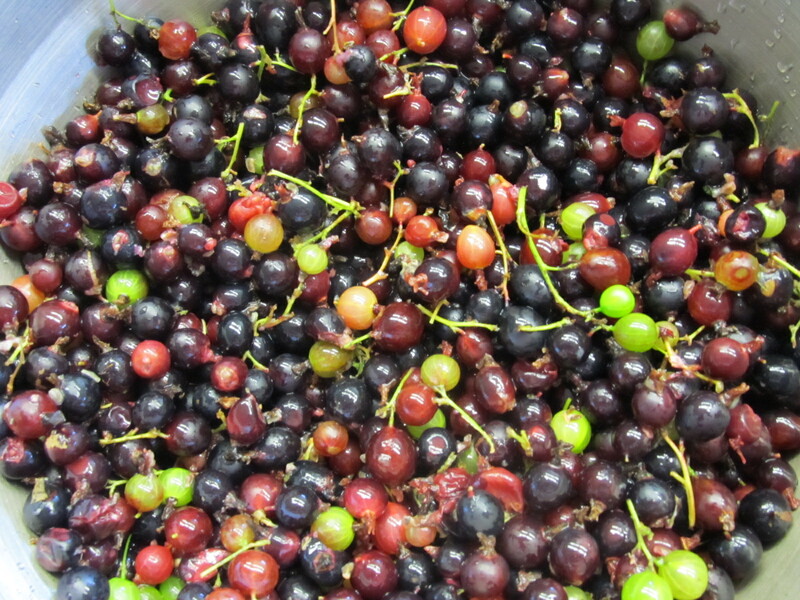 Inspired by the lady of the walnut tree this morning who was making blackcurrant jelly when we arrived, I decided to make jelly from our bowlfuls of fruit as well. A couple of days ago I made it my mission to make brawn. My Nan used to make it and it was jolly good. Unfortunately I didn’t have her recipe, but managed to make something very like it in the end. I was, I admit, rather pleased with myself. However – all the steam in the room from boiling up the meat had caused the chocolate on the lebkuchen I’d made to go spotty and dotty. Disaster, they looked pretty awful though they still tasted fine. I can’t bear waste, particularly after all the effort and ingredients of making the biscuits, so utilised them in the old fashioned Hedgehog slice. Just sampled a little piece, and it’s very acceptable and even tastes festive, so that will go on the table over Christmas for a little sweet treat for visitors to nibble on. 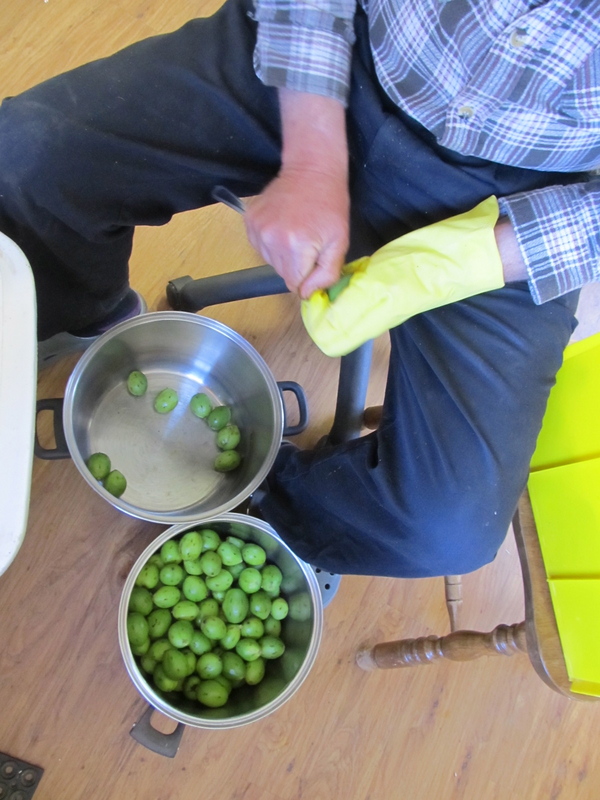 The green walnuts are brining after much effort from Robert, his pricking each and every one with a special fork he’s made. 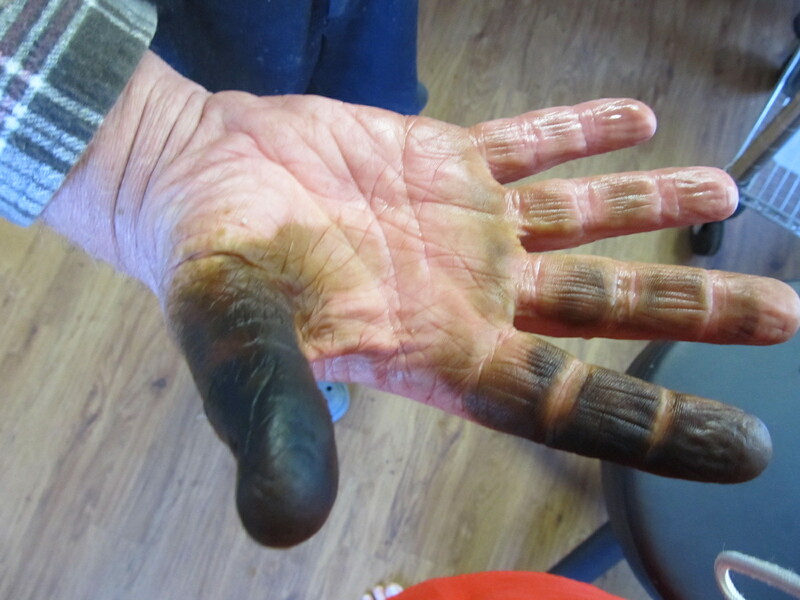 He had a glove on one hand, but not the other – you can see what I meant in the last post when I warned about what would happen to exposed skin. 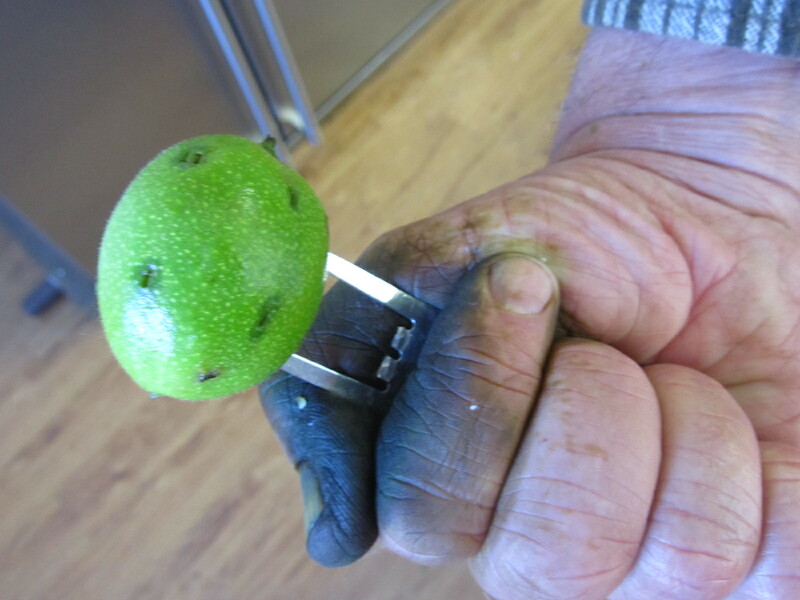 He’ll need to do a lot of washing up for a week or more to clean up that thumb. Not that I’m complaining about that of course. Tomorrow – more cooking, Stollen (thanks to Pat for her recipe for homemade marzipan) and a belated Christmas pudding, biscuits and hopefully a few more things besides. This time of year is such a good reason to keep on baking.